Designed as a tribute to veterans, the Memorial Museum will feature interactive and educational exhibits, beautiful landscaping, and iconic architecture, including the spiral processional rising to a rooftop sanctuary. 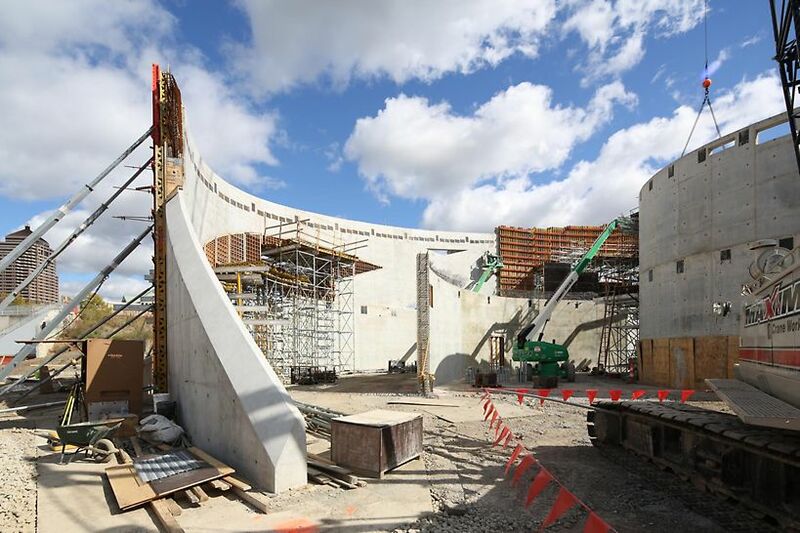 The elegant, sweeping curves of the three interlaced cast-in-place reinforced concrete rings that define the structure belie the complexity of the project’s design and construction. The structure consists of a collection of concentric arches rising from the earth. 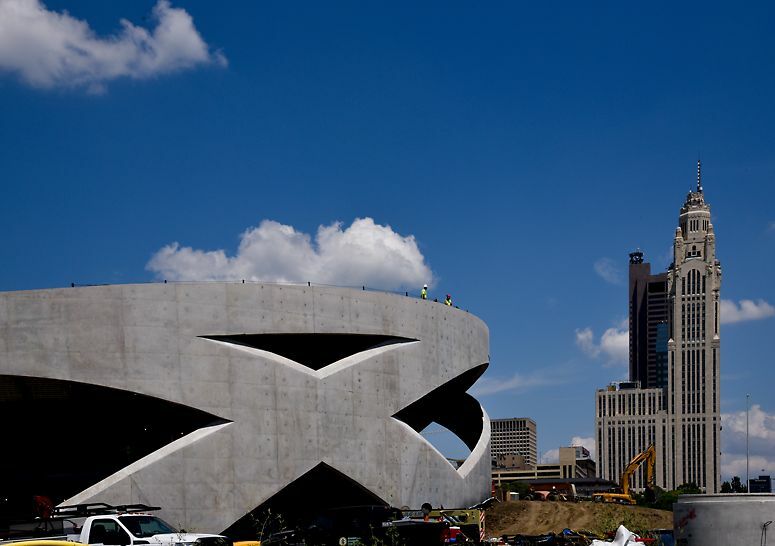 The arches cross to create interwoven concrete rings that form the museum walls and support an upper level sanctuary, providing “a path connecting earth to sky", with an architectural finish. 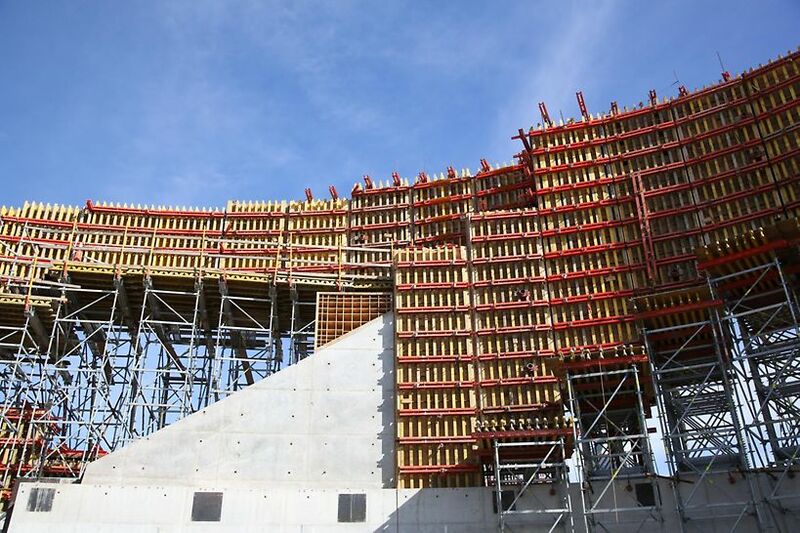 Overall, the project required about 100,000 ft2 of wall forms, all built using PERI’s VARIO system and PERI's plywood and supported by PERI UP scaffolding and shoring. In addition to all of the forms being curved, every form panel had to be built to the exact curve and specifications of a particular location on the project. 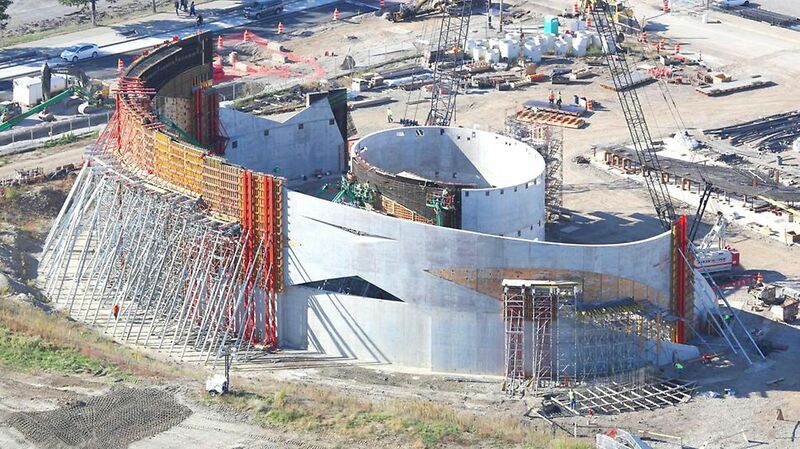 400 void forms were required to create the openings in the concrete rings. These plywood box-outs were CNC-cut in PERI’s yard and ranged in size from 40 to 300 ft2. 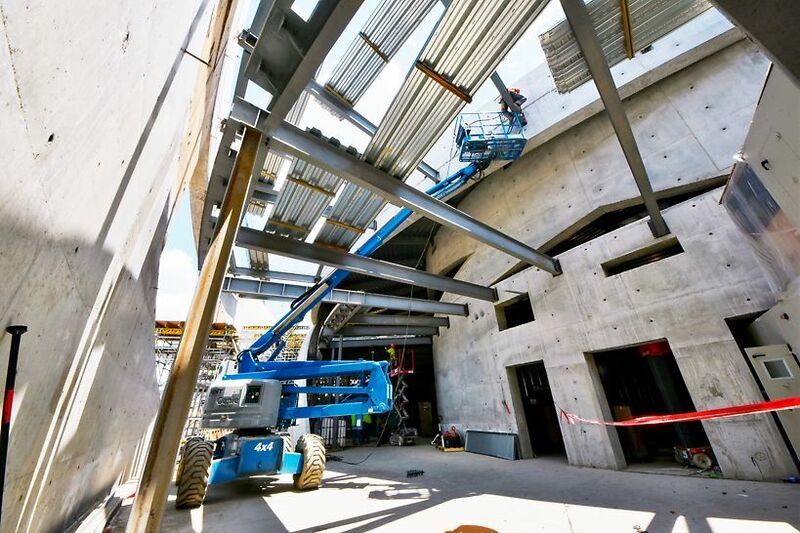 PERI supplied the forms and provided the engineering and pre-assembly required to accomodate the changing radii and curves of this challenging concrete project. 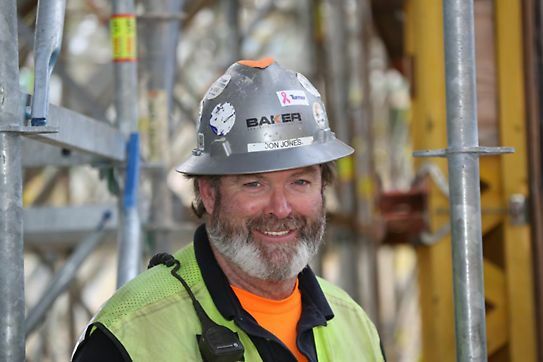 Baker turned to PERI to provide the formwork and plywood for this high-profile project with virtually no room for error. Because of the dense reinforcement and the desire for an architectural quality finish, Baker pumped self-consolidating concrete from the bottom of the forms. The wall geometry dictated a number of very large pours, as long as 120-ft and 40-ft tall. 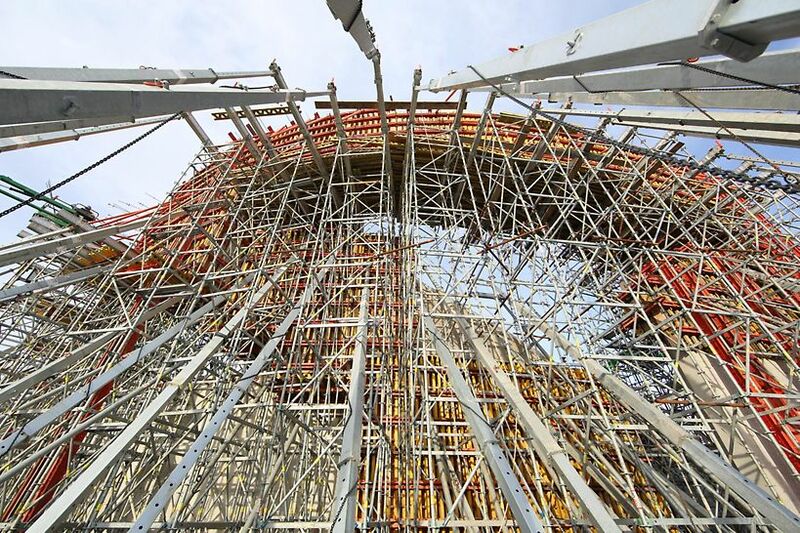 Steel reinforcement cages — some approaching 100,000 pounds — were assembled on the ground as the formwork was erected, then lifted into place. 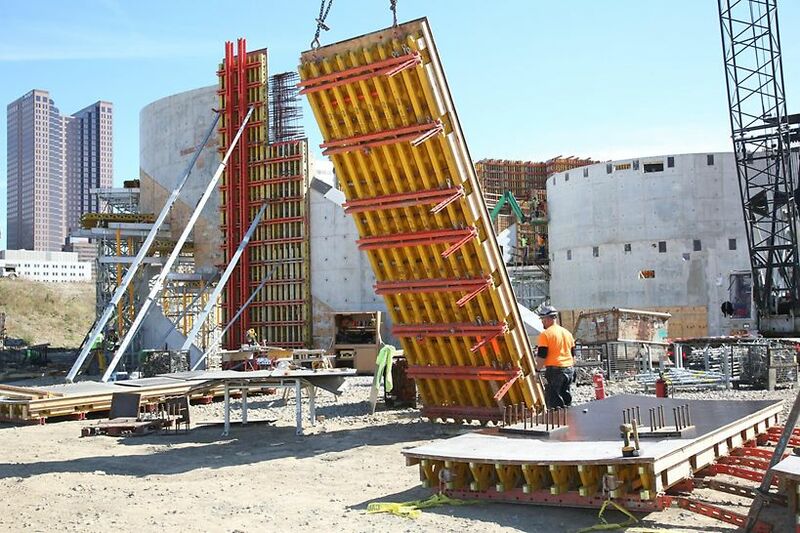 In many cases, achieving the openings required that the void box-outs had to be put into place after the rebar had been lowered into the formwork. 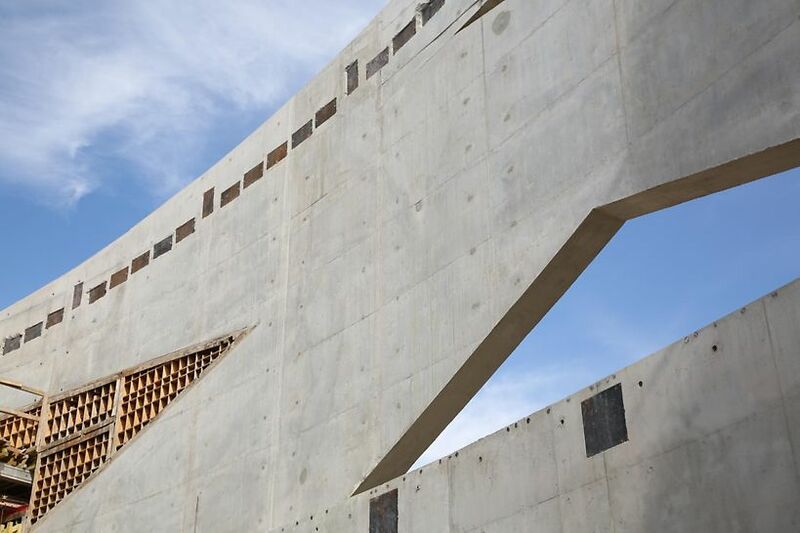 Almost the entire structure was designed to be exposed architectural concrete, and originally was slated for sandblasting to ensure a uniform surface. However, the early concrete finish turned out so well off the form that the architect decided to forgo the sandblasting. Designed as a tribute to veterans, rather than as a war memorial or military museum, the Memorial Museum will feature interactive and educational exhibits, beautiful landscaping, and iconic architecture, including the spiral processional rising to a rooftop sanctuary. It will also include permanent and temporary exhibits and meeting rooms for veterans groups. The facility is expected to open in 2018.